If you’re looking for a nice vacation spot in the Philippines, then Tacloban City might be the right place! Located at the Eastern part of Visayas, Region VIII, Tacloban City is popular for its Pintados Festival, tourist spots, its famous drink and the renowned San Juanico Bridge! There are also lots of hotels, malls, and cheap bazaars that backpackers and tourists can indulge themselves into! Here’s what you need to know all about Tacloban City, Philippines. Tacloban has an airport known as the Daniel Z. Romualdez Airport, which is currently served by airlines that offer domestic flights from other parts of the country specifically Cebu, Manila, and Iloilo. There are also many modes of transportation that can help you get around the city either via jeepneys, taxi cabs, buses, or tricycles. People of Tacloban have the annual Pintados Festival, wherein people celebrate and commemorate the early settlers of the city every 29th of June. In the early times, the bravest native warriors were covered in tattoos from head to toe, which signifies courage, strength, and beauty. These tattoos were earned by participating and fighting in battles. Thus, one is called a Pintado. One of the main reasons the city is flocked with tourists from other parts of the Philippines and other countries is because of the San Juanico Bridge. It is by far the longest bridge in the Philippines that connects the city to another big island known as Samar across the strait of San Juanico. The City of Tacloban relies on Samar for marine and agricultural supplies, as well as for other business and trade. Leyte is the other island that the bridge connects to, where Tacloban City is situated. It is an important religious site in Tacloban, which protects the miraculous Santo Niño image. The famous location of where two barrios, namely Sitio Kankabatok (now known as Tacloban) and Basey town in Samar exchange the image of Santo Niño. The people of Kankabatok would borrow a bigger image of the saint from Basey during the barrio’s Feast of Santo Niño. Also known as Madonna Maria Kanon, signifies the friendship between the Filipinos and Japanese. Tacloban City became a campground for the Japanese soldiers during World War II. Both countries have established a common understanding and helped each other in times of need. It is the site of many activities such as concerts, beauty pageants, tournaments, and other big events. The arena also consists of many bars, clubs, and other business establishments. The site also served as an evacuation center for people of Tacloban during the storm surge of Typhoon Yolanda (Haiyan). The park commemorates the historical landing of General Douglas MacArthur in the gulf of Leyte during the liberation of the Philippines from the Japanese on October 20, 1944. The beach where the Statues of General MacArthur, then president Sergio Osmeña, and other noted war officials is named the “Red Beach”, which signifies the blood that were spilled during the war. And of course, don’t miss out on Tacloban’s famous drink… Tuba! This is a national drink for the people in the Visayas. The wine is extracted from the heart of the coconut. These spots are what you should focus on when staying in Tacloban for a vacation. Unfortunately, due to the fact that the city was struck by a very strong Typhoon Yolanda, most of the city was destroyed including their famous tourist spots. 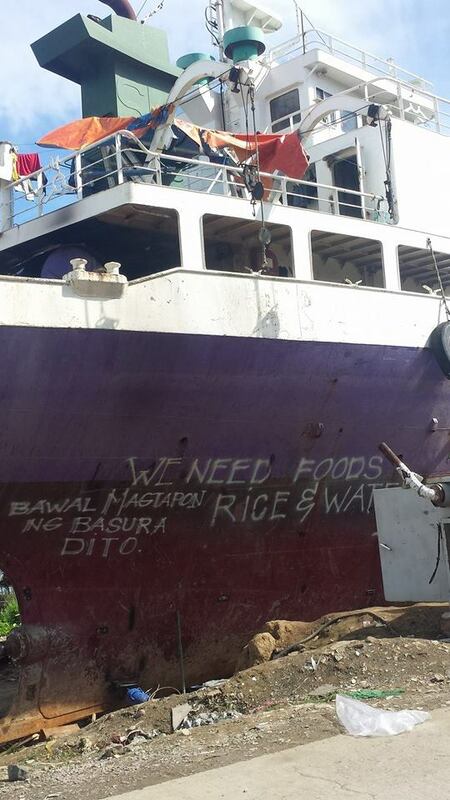 However, the San Juanico Bridge was not severely damaged and became a crucial route for the delivery of relief goods. Now, more than a year after the typhoon, the city had been able to get back up on its feet and certain businesses and establishments, as well as hotels have been re-opened. Hi Keith. I loved Tacloban when I visited. I actually (by coincidence) arrived there on the one year anniversary since Typhoon Yolanda devastated the city. While, the city was still in much need of help, the people were wonderful. I actually got out of the Van (I went on a day tour) and took this pic. A year later and the ship was still there in the middle of the city. I thought that this really put everything into perspective! I really felt for the families who lost their loved ones. I did visit MacArthur Park and the San Juanico Bridge (impressive). It's been over a year since my last visit. Hope to visit again on my next trip! The people of Tacloban really are a bit special, very friendly and great fun...and make sure you drink some tuba (coconut wine) with the locals when your there! I have lived in Tacloban for few months here and there in my teens for change of environment and learning a different dialect as my dad's first wife is from there and treated me and my brother like her own. The month of June is a nice time to go as that is their festival. If no time permitting I will take Mark there this December as I haven't been since 2007. I will post some more if there are any recent attractions in Tacloban.